Face-to-face students may log in at the following address to check grades and financial aid information. Chrome or Firefox browsers are recommended for this site. Note: Online students will access this information through the online classroom (V-Camp). 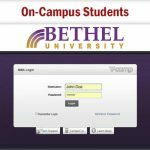 You will find the Student Portal access link in the Resources, Helpful Links area.